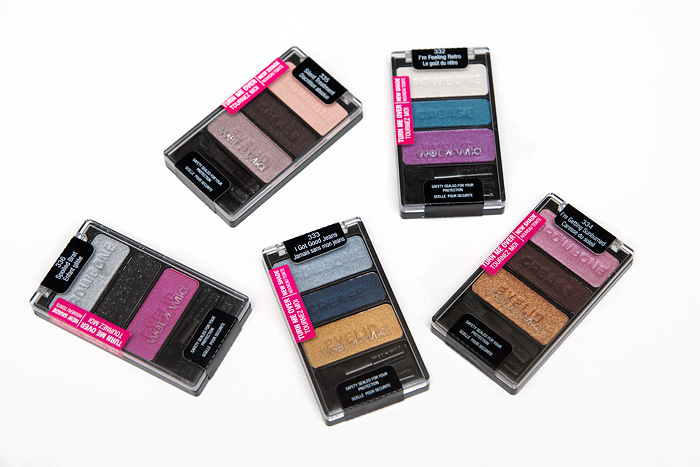 WIN: Five Wet n’ Wild Color Icon Trio Eyeshadows! With a massive thank you to @allysonnewell for making this giveaway possible, I’ve got five Wet n’ Wild Color Icon Trio Eyeshadows up for grabs. I’ve previously featured each one in a FOTD post (obviously different palettes, yours will be new!) so you can have a look here to check out how each palette looks when worn. These gorgeous palettes are unavailable to purchase within the UK and I’m not sure how readily available they are in other countries globally, so look sharp! Which of the five palettes did I wear on the hottest day of the year? 1. Entry open worldwide by email only. 5. Competition closes on Monday 1st August 2011 at 23.59. I entered this is awesome! I always have these on my wishlist lol! I’ve seen swatches of the WnW palettes and they look gorgeous, but unfortunately they’re not available here. Maybe this will be my chance to get them… Thanks for doing this giveaway! I can’t get these where I live!! N I used to drool over these whenever any blogger did any post on these!! Fingerscrossed!! !